ARETE’s engaging and interactive curriculum has been a popular part of many safety conferences across the country. We have spoken on topics ranging from safety for business travelers, managing challenging clients or customers, working alone, and dealing with workplace bullying and harassment. If you are looking for an informative and crowd-pleasing presentation, and are interested in learning more, please fill in a request information form. At our UBC Safety Day, Hugh presented an engaging session to a group of 150 Health and Safety Committee Members. His flexibility and ability to tailor examples to the audience and encourage questions helped the audience fully understand the content. Many of my colleagues provided exceptional feedback describing Hugh’s presentation as interactive, funny and memorable. As past president of the BC Municipal Safety Association and Chair of our [triennial] safety conference, I strongly recommend Hugh Pelmore as a presenter for conference or training venues. His presence was a key ingredient to the success of the past two BC Municipal Safety Conferences. Their presentations were consistently rated by conference participants as one of the best sessions they attended and rated by the conference committee as a must-have at every conference. 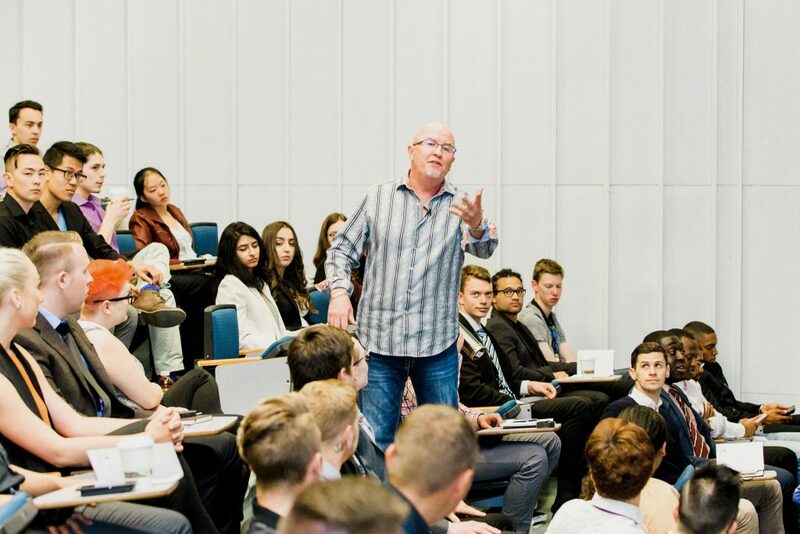 Hugh’s interactive seminars and humour are their strength and are ideal for a conference atmosphere. ARETE Training delivered a fantastic safety workshop to a group of 220 new employees during our kick-off orientation in addition to working with ARETE Training at another hotel. Both training initiatives were excellent and very well-received by our employees. Safety is a dry subject to teach and despite the serious nature of the topics, ARETE Training was able to engage a broad demographic of employees to the importance of safety through humour and an impactful demonstration. The employees “raved” about the workshop and the organization achieved its objective of due diligence. Thank you! 2009- 1- Violence in the Workplace: A Real World Approach. 2- Some Will Bully at Work if We Let Them. ARETE Training’s CEO and President, Hugh Pelmore, was invited to speak at DisruptHR YVR, where speakers were given five minutes to educate and inform the audience in their chosen specialty.